Your apartment is located in Bilin Dolac, around 1km from the ancient town of Trogir. 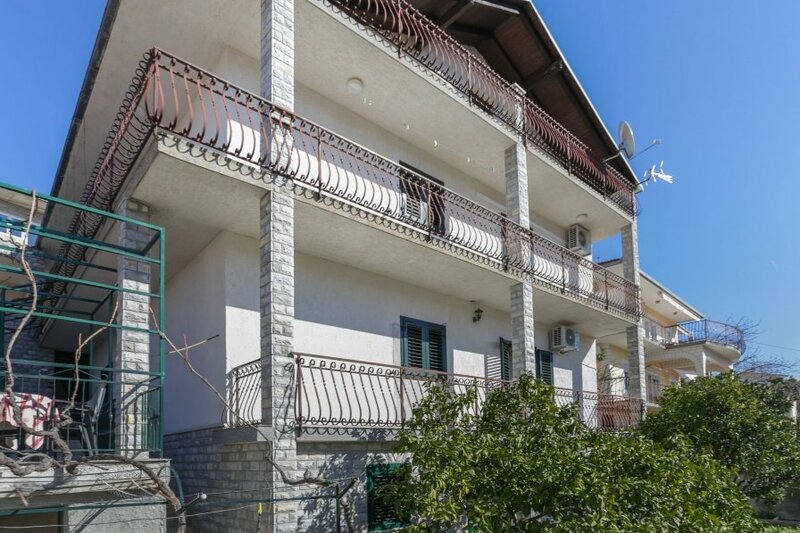 Bilin Dolac is part of the Ciovo island and is within walking distance to the city center and the nearby beaches. This apartment consists of 3 bedrooms each equipped with a double bed, a spacious living/dining area which has a direct access to a lovely balcony, a fully equipped open plan kitchen and a modern bathroom which includes a washing machine. parking spots are provided for the guests and wi fi connection is free, as well as airconditioning. This is a perfect location for those who want to experience the vibe of local life and spend their vacation within walking distance to the sea and various historical landmarks. Largest Dalmatian town of Split is less than 30km away and regular excursions are organized to the islands of Solta and Drvenik. Split airport is only 10 minutes away and there is a direct access to the major croatian highway which connects the south to the north of the country. All of the shops, restaurants and stores are reachable by foot and there is a fish and vegetable market nearby, where fresh local products are delivered on daily basis.